How does hearing work? Does every single living creature hear with the same organs? Unlike the chemical senses, the answers here might be a bit more straightforward. However, this topic isn’t exempt from deliberation either, especially since it’s being researched continuously. Auditory perception, a.k.a. hearing, refers to the ability possessed by organs such as the ear to perceive sounds via their vibration. According to the laws of physics, sound vibrations propagate in the form of audible pressure waves. Essentially, our ears are built to pick them up and amplify them on the way to the corresponding nerve, which then carries them to the brain. Therefore, as far as human physiology is concerned, hearing refers to the reception and perception of sounds by the ears and the brain. Because our organs react to changes in pressure during the process, hearing is a mechanosensation much like touch. Sound vibrations are thus considered mechanical stimuli. The mechanics behind hearing rely on the ear and its three main parts, namely the outer ear, the middle ear, and the inner ear. In turn, each of them accommodates several bits and bobs that are essential to auditory perception. The outer ear consists first and foremost of the auricle, which is pretty much a fancy name for its outside part. Going inside, we then find the external auditory canal that ends with the eardrum, or tympanic membrane. The middle ear begins past the eardrum, where three tiny bones are located. They are scientifically referred to as ossicles, and they are the malleus, incus, and stapes. It is also where the eustachian tube is located. Its role is to equalize pressure so that sound waves travel properly. The inner ear is where the magic happens, with the help of the cochlea and its basilar membrane. Hair cells, or stereocilia, sit on top of it and turn vibrations into electrical impulses that then reach the brain. This is also where the vestibule and semicircular canals are positioned. These help you with balance and coordination. The process behind hearing sounds is a fairly intricate one, and it mainly goes down in our ears. 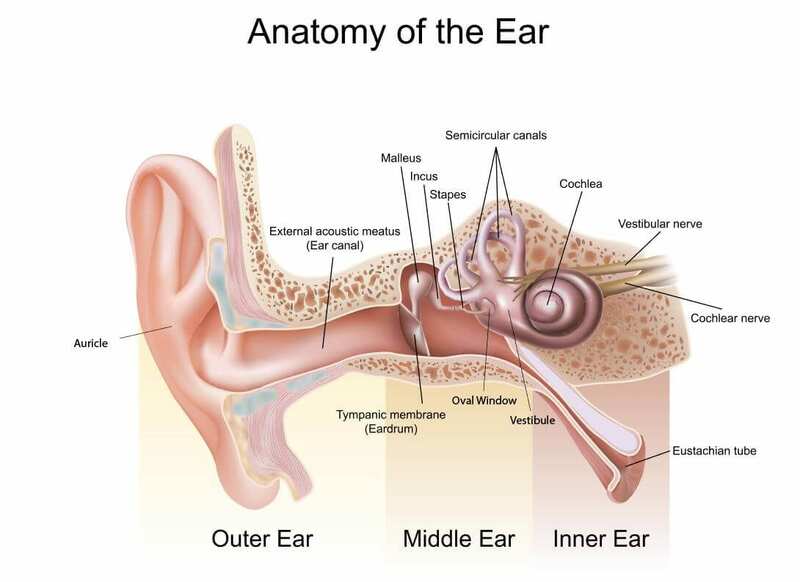 It all starts when sound waves enter the outer ear and reach the eardrum by traveling through the ear canal. 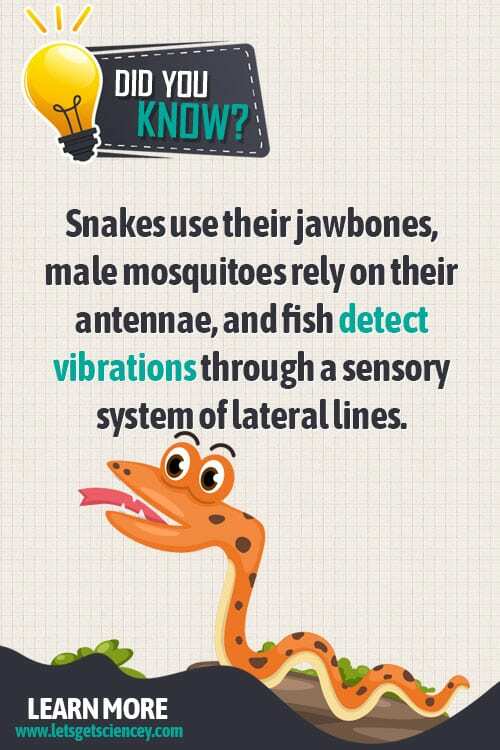 They cause the tympanic membrane to pulsate, sending vibrations to the three bones of the middle ear. These bones then amplify the waves and send them to the cochlea in the inner ear. The basilar membrane reacts to them and sets the hair cells in an upward and downward motion, causing them to bend. This opens up pore-like channels at their tips and rushes chemicals in, thus generating the electric signal the auditory nerve transports to the brain. Our ears help us with more than just hearing. The vestibular system of the inner ear is actually what keeps us from wobbling about or falling all over the place. It is made up of two otolith organs called the saccule and the utricle, as well as three semicircular canals. These are all filled with fluid and contain hair cells. Electric signals concerning balance are thus sent to the brain in a similar way. Each of the three canals responds to a specific head movement, namely to the right or left, upwards or downwards, and turning sideways. This processed information is then sent further along to other organs that depend on it, such as muscles, joints, or even eyes. The mechanics and process behind hearing seem simple enough. Unlike other more highly debated senses, such as taste or smell, we truly understand what goes behind auditory perception. However, this doesn’t mean that the science of hearing is without debate. Regardless of how clear-cut the mechanical senses might seem when compared to the chemical ones, The National Institute of Deafness and Other Communication Disorders comprised a generous list on this topic. New components have been discovered as far as hair cells are concerned, and we now know that hearing loss can be partially repaired by stimulating them. While we’re on the topic of hearing loss, it’s important to note that several breakthroughs occurred in this direction in recent years as well. It is now unequivocal that the affliction has a hereditary facet as well, and gene therapy might be a potential solution. What is more, drug or noise-induced partial deafness could be prevented or fixed by small molecules. Nevertheless, the most interesting question that has been raised over the years has to do more with how cognition impacts communication rather than how hearing works. This is known as cognitive hearing science, and it analyzes the ways in which the mind handles auditory signals. This research is particularly important for the auditorily impaired, as it can outline a deeper understanding of the issues they are faced with. In addition, it is also relevant in the context of preventing various secondary illnesses that are influenced by partial or total deafness, such as Alzheimer’s-type dementia. As tradition dictates, we can’t let you leave before presenting you with some fun facts about hearing. 1. The malleus, incus, and stapes are actually the smallest bones in the human body, with the latter being the tiniest of the three. Despite this, they have the highest mineral content out of any bone. 2. 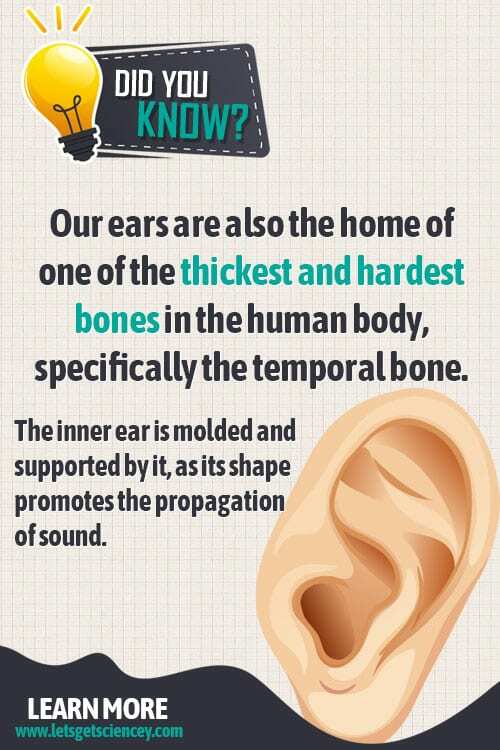 Our ears are also the home of one of the thickest and hardest bones in the human body, specifically the temporal bone. The inner ear is molded and supported by it, as its shape promotes the propagation of sound. 3. Men are twice as likely to experience hearing loss than women, according to a study published in March 2017. Women also have keener senses of smell, so we’re noticing kind of a tendency here already. As much as 466 million people worldwide suffer from disabling hearing loss? What is more, 34 million of them are children.